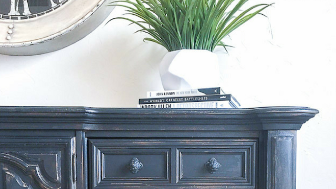 You've probably seen examples of eloquently executed distressed furniture on shows like Fixer Upper but have you ever wondered how to get the distressed farmhouse look? If you are gearing up to paint and refinish your furniture and your distressing furniture skills need some help, you're in the right place! 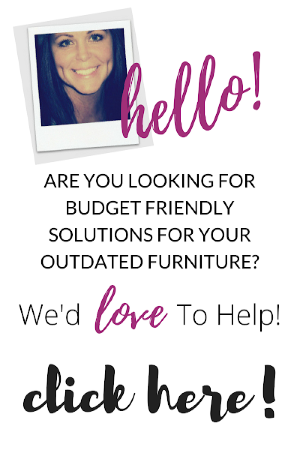 We also offer this furniture refinishing page which is loaded with additional FREE furniture makeover ideas & tutorials that you can access at anytime! 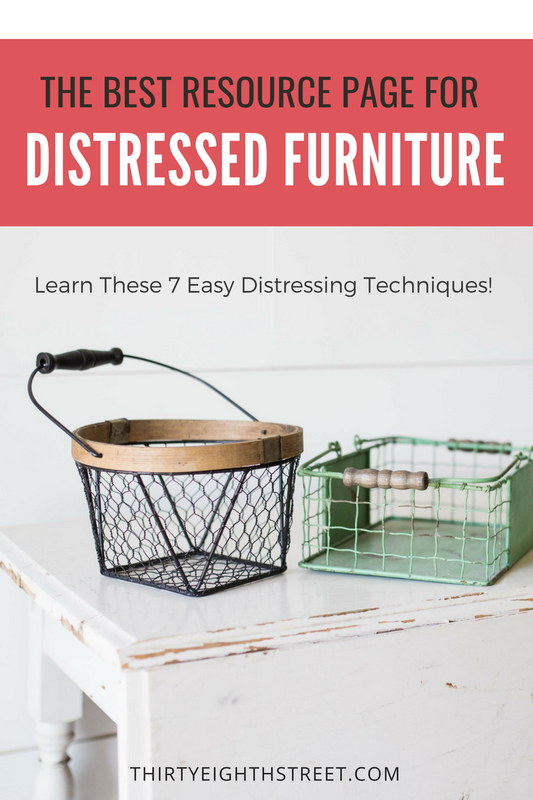 On this distressing furniture resource page, you'll find a list of distressed furniture tutorials that are FREE and packed with valuable information! 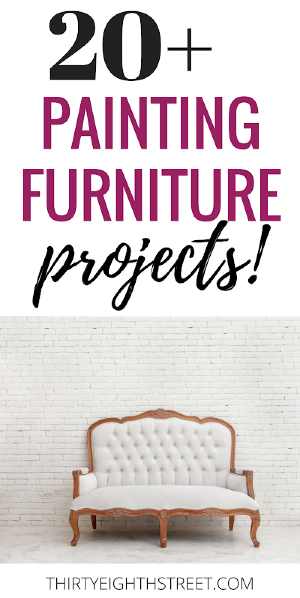 Once you're finished reading you'll want to Pin this so you have it handy for your future furniture distressing projects- it's going to be THAT GOOD! 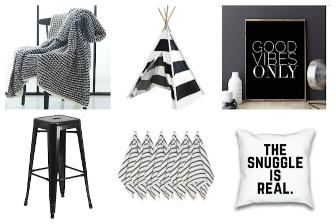 There are several easy ways to distress furniture. We've numbered the following distressed furniture painting techniques in no particular order although each of these distressing techniques has their own pro's and con's. 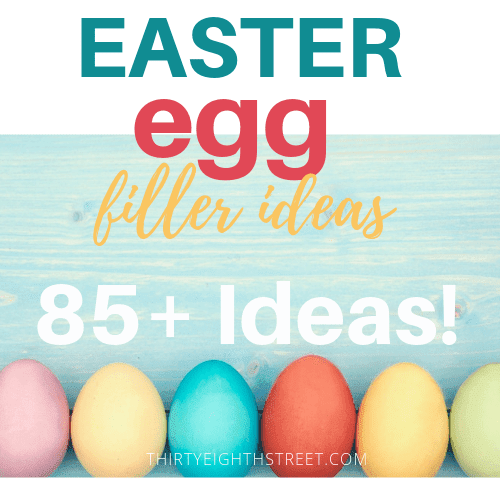 We definitely have a favorite method that we like to use! Can you guess which one? Which paint distressing technique is right for your furniture project? 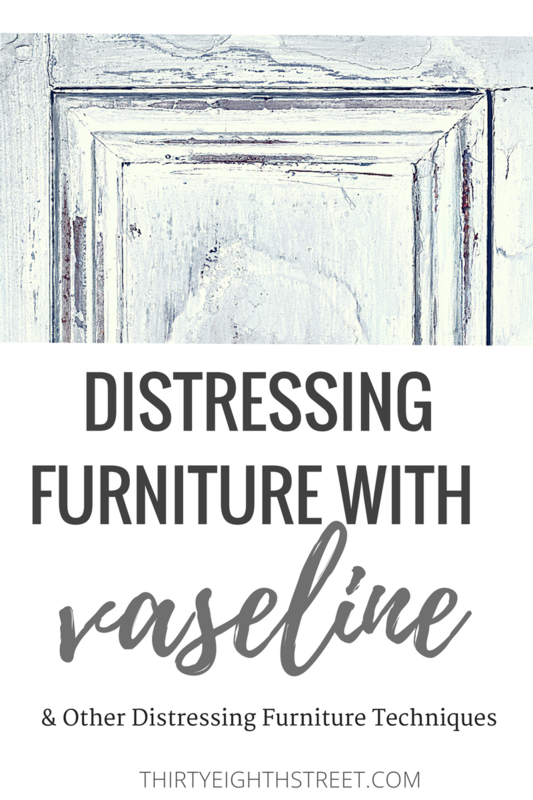 #1 HOW TO DISTRESS FURNITURE WITH VASELINE This distressed furniture painting technique is not messy (despite that you're working with vaseline). You want an easy and quick way to get a heavily distressed chippy furniture piece this is your method! 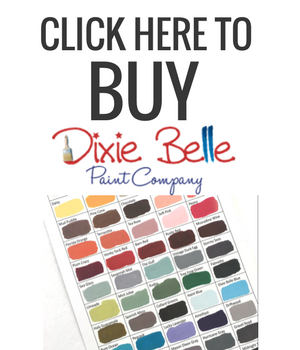 #2 HOW TO DISTRESS FURNITURE WITH CHALK PAINT: Are you looking for a natural worn finish? This technique gives furniture an authentic rustic and subtle weathered look each and everytime! #3 WET DISTRESS PAINTED FURNITURE TECHNIQUE: No mess distressing! This paint and wet distressing techniques gives you the same authentic looks as distressing furniture with sandpaper but without the mess! #4 HOW TO DISTRESS FURNITURE USING STAIN: COMING SOON! #5 REVERSE PAINT DISTRESSING TECHNIQUE: Similar to our tutorial on how to distress furniture with paint, this is a close cousin. This painting and distressing furniture technique is great to use on furniture pieces with lots of details! #6 DISTRESSING FURNITURE WITH SANDPAPER: COMING SOON! #7 DISTRESSING FURNITURE WITH VINEGAR: COMING SOON! In this next furniture before and after, we describe how to make furniture look rustic with our distressed paint technique. 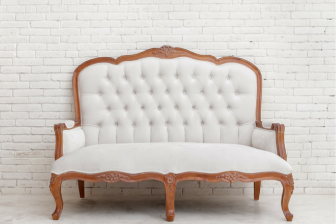 This distressed white furniture makeover will show you just how easy it is to get the distressed look! Check out the Balayage Painting Technique we used on this console. This rustic paint finish gave this furniture piece an ombre distressed look! 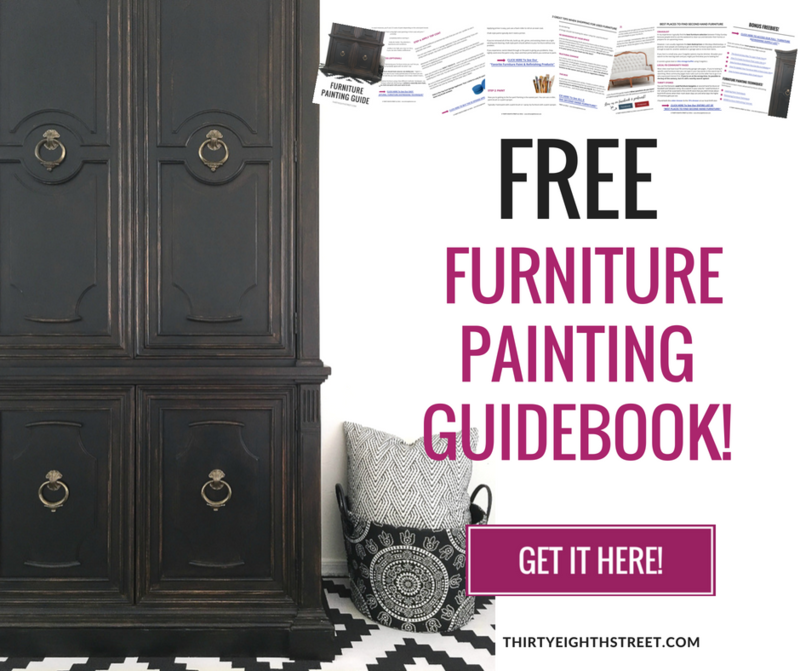 We're giving away a FREE copy of our 9 Page Furniture Painting Guide. Grab it here!